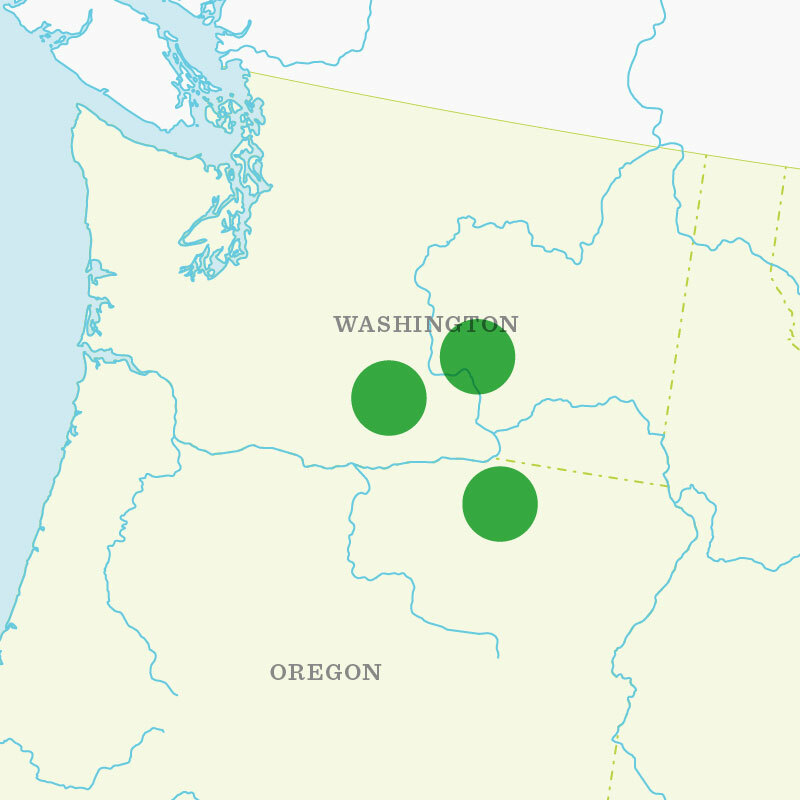 This region is composed of three main growing areas: the Yakima Valley (south-central Washington), the Columbia Basin (central Washington), and the Hermiston/Boardman area (northern Oregon). The Columbia Basin and Hermiston/Boardman areas are primarily sprinkle irrigated with water from the Columbia River. The Yakima River and its five mountain reservoirs provide irrigation water for the Yakima Valley, which is mostly rill or flood irrigated. Peppermint (Black Mitcham), Scotch Spearmint (Regular and 770) and Native Spearmint. The majority of the peppermint is raised in the Columbia Basin, while the majority of spearmint is found in the Yakima Valley.